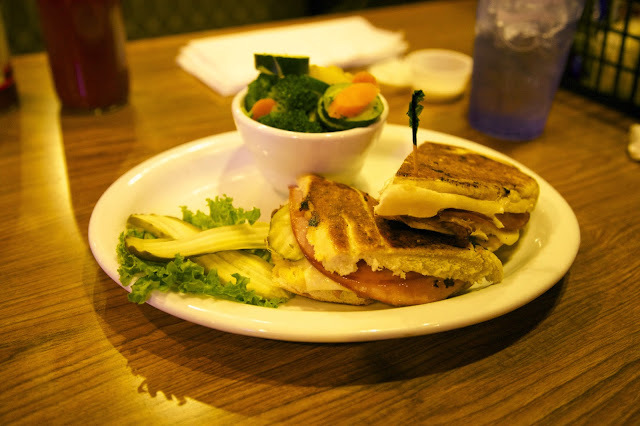 If you're like my hubby and me, you get kind of stuck in a food rut every once in a while, and only eat at the same restaurants over and over again. In the spirit of Currently, Kelsie and my desire to make life a fun and fearless adventure, we've been really pushing ourselves to try out some new (to us at least) places. 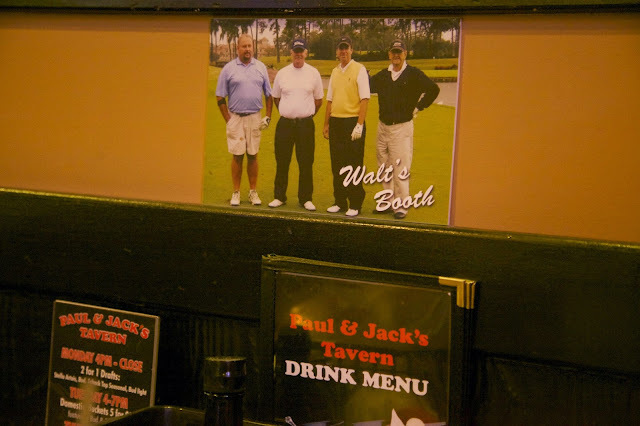 Thus, our visit to Paul and Jack's Tavern. I had been to Paul and Jack's once before with friends, but I wanted to come back in since it had been a while. We stopped in on a First Friday around 9:45pm, so we were hitting the last bit of the dinner hours. 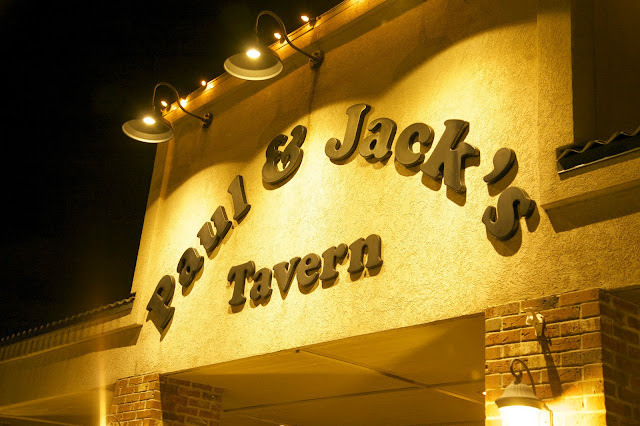 Located on Clay street in the Northtown area (near Neon Wild and Cinder Block Brewery), Paul and Jack's has been around since 1948. When you enter the door, you are immediately met by several newspaper articles highlighting the restaurant over the years. Lots of interesting history! We were seated in Walt's booth, which was a pretty sweet tribute to one of their regulars who always sat in this specific booth. The dining area was broken up into several different rooms, all with excellent views of multiple TVs. This was definitely a great place to watch a game, and we cheered on the Royals to a victory as we ordered. 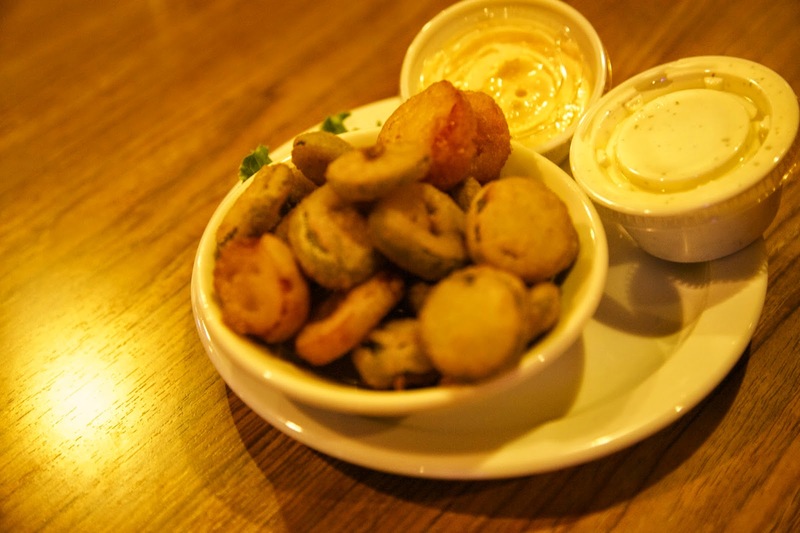 We decided to splurge and start with an appetizer because we were both pretty hungry. We ordered the Jalapeño Bottle Caps, which are battered, deep fried jalapeños that come in both snack and full size. We got the snack size for only $2.99. I'm not a big spicy person, but they were really good! For dinner, I got the Cuban Sandwich, consisting of pulled pork, pickles, swiss cheese, garlic aioli, mustard, and delicious ham. 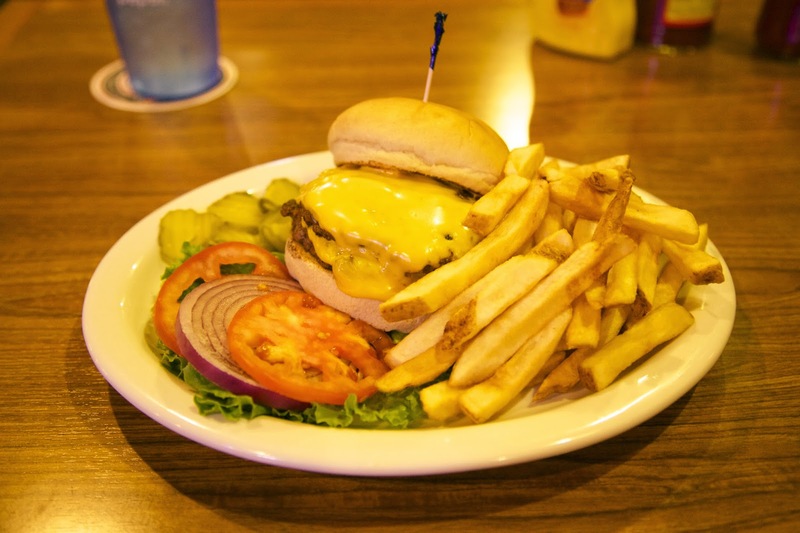 It normally comes with fries, but I got the veggies on the side and they were really fresh with nice flavoring. I took home half of my sandwich as leftovers for the next day's lunch. Definitely a good portion of food for under $9. Aaron is my burger man. He got the PJ's Double Cheeseburger, which was just like it sounds- two burgers and two pieces of cheese. Pretty filling with great flavor. Fries are his go to on the side. Very reasonable at $6.99. The restaurant also hosts live bands essentially every Friday and Saturday from the end of May through October. The bands play from 8 to midnight, and cover is often free and is never more than $7. Their huge outdoor patio area and stage can easily host special events such as rehearsal dinners, class reunions and more. They also cater. All in all, we were very happy with our experience at Paul and Jack's. We had great service, the menu was reasonable and offered a variety of options, and the food was great. 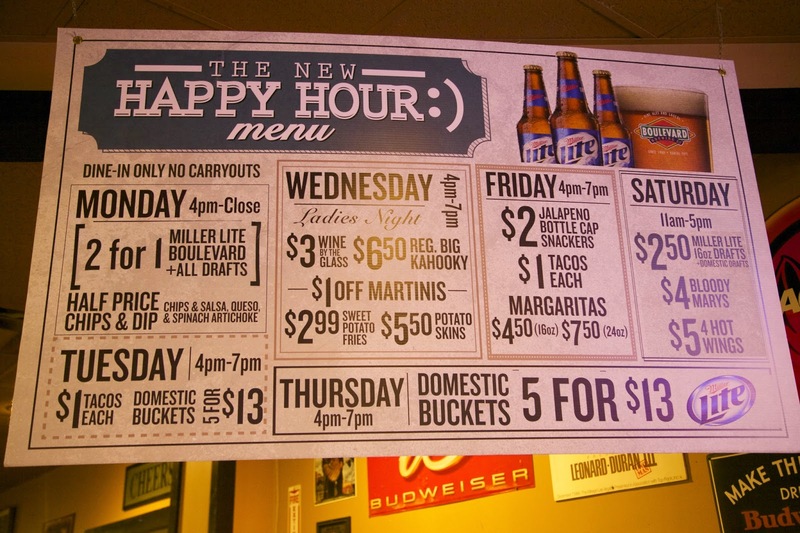 We will be back again to try out some of their other specials. Check out their full menu at http://www.paulandjacks.com , or find them on Facebook here.